A photo of Bill Gates has been making the rounds on social media and is being widely appreciated. 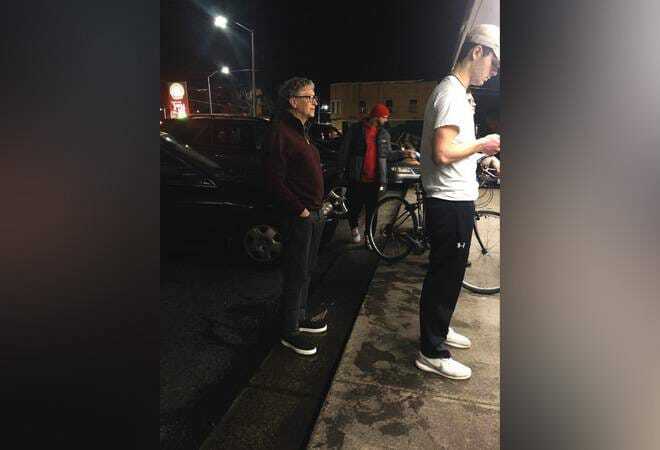 In a photo shared by Facebook user Mike Galos, billionaire Bill Gates is seen standing in a queue at a burger joint. Netizens are applauding this simple gesture by the billionaire and are singing praises of his humility. Galos also compared Gates with President Trump and said that this is how real rich people behave.